Lufthansa Group’s decision to go ahead with an artificial intelligence (AI) partnership with Hopper exemplifies the fact that airlines, as an industry, are increasingly finding ways to get associated with technology companies/ start-ups plus counting on AI in areas of pricing - demand forecasting, price sensitivity and willingness-to-pay at the O&D market level. 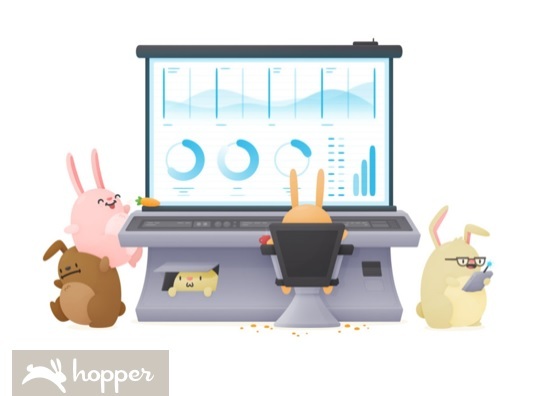 As shared by Lufthansa, this collaborative research project with Montreal, Canada-based Hopper is about predictive analytics models and flight-demand forecasting. The plan is count on AI to gain an insight into customers’ preferences to come up with personalized recommendations about additional services or upgrades. Plus, Hopper will work closely with the Lufthansa Innovation Hub to expand into the European market. The foray is slated to commence in mid-2019. Hopper states that it predicts prices with 95% accuracy up to one-year in advance. Such a move is indicative of the fact that airlines are increasingly breaking the shackles of running a legacy business. One of the highlights of going for an agile transformation is to involve executives from the parent organization from early on. 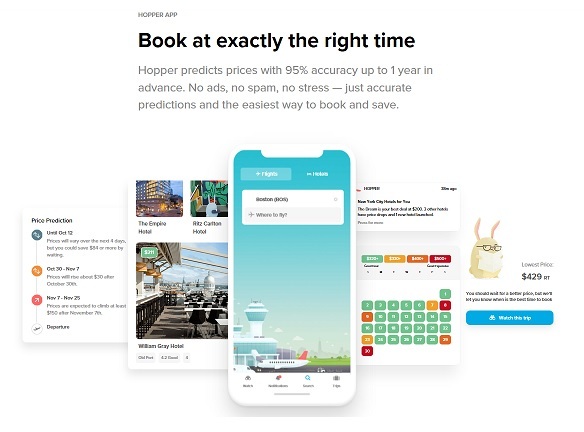 For example, in case of Hopper, the team counts on machine learning and AI to precisely forecast flight and hotel prices and offers its users personalized recommendations at the optimal booking time, as well as alternative travel offers. For this project, Lufthansa Innovation Hub is going to facilitate the collaboration with the Lufthansa Group’s revenue management and distribution specialists. This is indicative of the fact that respective experts from the core organization are involved very early on. The practice of handing over completed works from one silo to another is being avoided. In fact, by setting up an investment arm, innovation unit etc. and letting these independent teams to invest, incubate new, stand-alone digital ventures or finalize any other strategic alliance, airlines are earnestly assessing and commercializing business opportunities in the digital space. Internally, it is vital to work out the apt blend of people, technology, data and analytics to be ready for digital commerce. Without doubt, the route taken to agility is an integral part of the overall transformation that also paves way for selling in today’s digital world. As highlighted in one of the recent articles, an integral part of agile transformation is finalizing people with the right skillset, then nurturing creative, cultural and processual freedom to prosper. In case of Lufthansa Innovation Unit (LIH), more than 90% of its team is from the start-up ecosystem. Airlines are gradually joining the bandwagon of a corporate investing in start-ups. “Over half of all US billion-dollar startups are backed by a corporate VC,” Christina Heggie, Investment Principal, JetBlue Technology Ventures shared during Ai’s MegaEvent, held in Long Beach, California late last year. There are multiple areas where these organizations are currently investing in. One of them is AI. Be it for evaluating what motivates travellers to search and book a particular journey to targeting new revenue opportunities, AI is influencing decisions. Companies like Amadeus are looking at ways to predict travellers’ choices, and also testing methods to assess real interactions with a website in real-time and act upon it. For instance, search inputs are congregated by resemblance, and that is worked upon with supervised learning, which indicates the probability of a search result to be booked. Even for revenue generation, airlines are working on a data-driven approach for incremental revenue. SAS exemplified the same recently via their context-based pricing approach for 14.5% raise in ancillary revenue for advanced seat reservations in the European market. Working in conjunction with Amadeus, the initiative featured clustering and data analysis. They were applied to the airline’s European route network. AI was chosen to spot appropriate variables that affect the traveller buying pattern. By banking on machine-learning algorithms, SAS managed to focus on purchasing probability based on a given context. From this, the team worked out both pricing recommendations and the predicted impact on the sale of seat reservations. After a three-month long effort, 11 new pricing policies were finalized to offer the best price for a given context, according to Amadeus. Such initiatives underline the changing approach – be it for swiftly responding to the emerging technology or aligning the entire organization and yielding results for various stakeholders. Hear from experts about the role of AI and how it is playing its part in user experience optimization at this year’s Ancillary Merchandising Conference, scheduled to take place in London, UK (9-11 April, 2019).